CrazyTalk Animator hilft euch, Pro-Animationen ganz einfach zu erstellen. 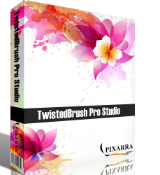 CrazyTalk Animator Standard 2.14 war am 30. Januar 2018! als Giveaway verfügbar! Mit CrazyTalk Animator, der revolutionären Animation-Suite, bekommt ihr alle nötigen Tools, um Pro-Animationen zu erstellen. Es bietet einen neuen Zugang zur traditionellen 2D-Animation - mit Hilfe innovativer Tools, welche 3D-Bewegungen für 2D-Charaktere einsetzen können. Neue Funktionen bieten euch neue Möglichkeiten, 2D-Bewegungen frei zu bearbeiten und mit einem einzigen Klick aus beliebigen Winkeln anzeigen zu lassen. Zusätzlich zu HumanIK Bewegungseditor und der nahtlosen Mix-and-Charakter-Anpassung, enthält CrazyTalk Animator kreative und spannende Vorlagen, die die Stimmung der Szenen mit beeinflussen können. Funktionen wie Body Motion Puppet und Auto-Lippensynchronisation machen CrazyTalk Animator zum kreativsten Tool für 2D-Animation. Es macht alle glücklich - von Zeichentrickfilm-Designern bis zu Künstlern, Illustratoren, Web-Designern und Lehrern. 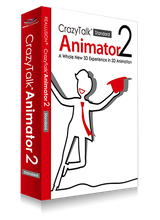 For me looks like a step backward, when I think that the previous giveaway of CrazyTalk Animator Standard was the version 2.15, todays offer is 2.14. The registration process is very complicated, the program itself complex and heavy weighted. For my needs FaceFilter from the same vendor would be a nicer giveaway. For me looks like a step backward, when I think that the previous giveaway of CrazyTalk Animator Standard was the version 2.15, todays offer is 2.14. The registration process is very complicated, the program itself complex and heavy weighted. For my needs FaceFilter from the same vendor would be a nicer giveaway. Prima, Oldware mit 475 MB reinste Bloatware und mit $50 ein teures Spielzeug. Schwarzer Peter, das sie nicht gerade die aktuelle Version 3 verschenken sollte klar sein, mit Version 2.15.2328 ist es halt die vorherige Version. So my advice will be: if you already have it fom previous giveaway, DON'T DOWNDATE! For those who don't have it already, this is a complex but very interesting program. And, sorry for repeating myself each time one of them is offered, but it is confusing: In case you already have CrazyTalk and are wondering, CrazyTalk and CrazyTalk Animator are two different programs by Reallusion. CrazyTalk produces 3D animated and talking heads while CrazyTalk Animator produces 2D animated and talking characters (or heads) moving in 3D. This is a first: if we are to believe the presentation, today's version 2.14 of Crazy Talk Animator standard is OLDER than the version 2.15 offered here a year ago (I checked, it is definitely version 2.15 which installed then): https://www.giveawayoftheday.com/crazytalk-animator-2/ So my advice will be: if you already have it fom previous giveaway, DON'T DOWNDATE! For those who don't have it already, this is a complex but very interesting program. And, sorry for repeating myself each time one of them is offered, but it is confusing: In case you already have CrazyTalk and are wondering, CrazyTalk and CrazyTalk Animator are two different programs by Reallusion. CrazyTalk produces 3D animated and talking heads while CrazyTalk Animator produces 2D animated and talking characters (or heads) moving in 3D. This was given away in January 2017 and was version 2.15, this is version 2.14, surely that's an older version than the last one? Have I missed something? M. H., Actually you can run an online update and it will upgrade to a newer version without losing the activation. Beware of these as they will hound you with special offers of outdated add ons to the software. I got lured into buying crazy talk animator 2 because they were offering crazy talk 3 for free but you had to wait and during the wait they conveniently sold me some extras for crazy talk 2 which a couple of weeks later were defunct.I do not think the software is as good as they market it be, they just want to sell you some add ons. It is mainly a marketing tool not a defacto software platform. Beware of these as they will hound you with special offers of outdated add ons to the software. I got lured into buying crazy talk animator 2 because they were offering crazy talk 3 for free but you had to wait and during the wait they conveniently sold me some extras for crazy talk 2 which a couple of weeks later were defunct.I do not think the software is as good as they market it be, they just want to sell you some add ons. It is mainly a marketing tool not a defacto software platform.